It seems Volkswagen’s Microbus concepts have been around forever. And it’s true, since the first, retro-inspired Microbus was unveiled in 2001, yet cancelled in 2005 without making it into production. As late as 2011, the shape was reborn in the shape of the Bulli concept, and nothing production-worthy came from that, either. 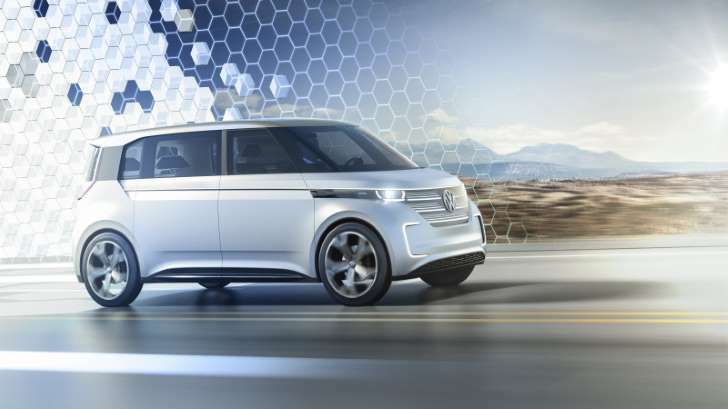 This year, amidst all the Dieselgate hoo-hah, Volkswagen refreshed the idea of a similarly shaped people carrier concept – now featuring electric power – and called BUDD-e. Sources close to the German carmaker say the latest iteration could be production-feasible, echoing the statements made in 2015. Autocar is reporting that the seven-seater could be one of five electric models Volkswagen wants to introduce by 2020. Volkswagen is basing the production version of the BUDD-e on the same platform as the electric iD hatchback seen at the Paris Motor Show in September. The flexible MEB platform resembles Mercedes-Benz’s electric A- and B-class concepts in that it houses the batteries inside the sandwich-like floorpan, affording a flat floor to anything built on the platform. Compared to the iD, the bus version would have a longer wheelbase and wider track. The electric motor would be housed adjacent to the rear axle, and the vehicle would be first and foremost rear-wheel-drive, with available all-wheel-drive if an electric prop shaft and front-mounted electric motors were utilized. The iD hatchback is slated for production in 2019, spearheading Volkswagen’s new transition to full electric power; a seven-seater minivan version would make for a solid companion.